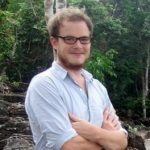 Graeme Blair is a Ph.D. candidate in the Department of Politics at Princeton University, and studies resource rent distribution bargains in oil-rich countries and the consequences for conflict with a focus on West Africa. He also studies the determinants of citizen support for armed groups in several contexts from Nigeria to Afghanistan, and methods for asking sensitive survey questions. His work has appeared in the American Journal of Political Science and Political Analysis, and won the 2013 Pi Sigma Alpha Award for best paper at MPSA. It is supported by grants from the National Science Foundation, the International Growth Centre, and anonymous donors.